In this new edition of Intergif, COLORBABY presented the newness that will be a trend this summer in its three main product lines. These new proposals come within a range of own brands, which provide identity to each of their collections. The collections of water pistols, aquatic games, flying discs, beach toys, sports toys and soap bubbles are the new references for products of the summer toy category; Aqua Sport, Aktive Beach, Aktive Sport and CB Rid ers, meanwhile, include part of the novelties in the line of leisure and free time. Within the lines of home and decoration, COLORBABY novelties for the summer season come in full color. Its brand of candles and decoration Ambients extends the summer collection with fashionable colors and shapes. At Max · Home, COLORBABY‘s home products brand, they incorporate novelties in the plastic line. 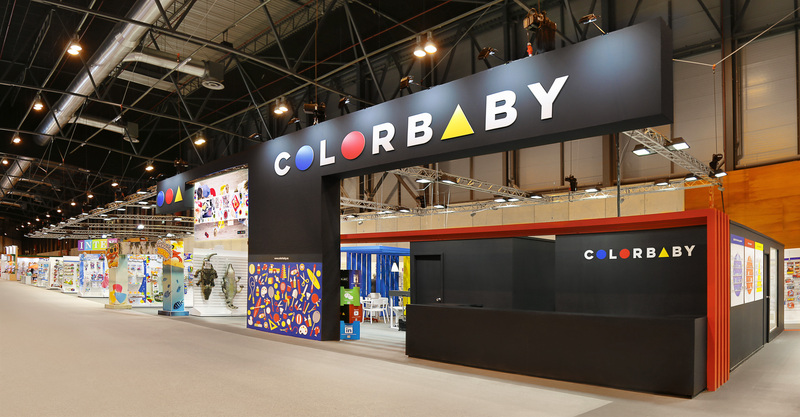 A great attraction of COLORBABY, which did not go unnoticed at Intergift, were the novelties in licenses, both in summer toys and in leisure and free time items. COLORBABY also presents its collection of INTEX products, leading brand in removable AGP pools, inflatable spas and inflatable products. The novelties of the 2018 summer collection of INTEX will have an outstanding area at the COLORBABY stand. Realistic impressions, innovative forms and the inflatable figures that cause fury inside and outside the water will make 2018 the best INTEX summer. For this season, COLORBABY wants summer to be synonymous with variety and fun. Variety that is reflected in its extensive catalog, with carefully selected references so that each client finds exactly what they need, and fun so that next summer is the best of all. They know that the first thing our customers are looking for is to be able to offer products at the height of the market, which is increasingly demanding and exposed to a wide range of products.